Spend an unforgettable week experiencing the passionate culture of Southern Italy. Puglia is the sun drenched heel of the boot that sits between the Adriatic and Ionian Seas. Basilicata is the neighbor of Puglia to the west. Both of these agricultural regions are abundant with over 50 million olive trees and a tradition of wine production that has flourished over the last decade. The wine from Puglia and Basilicata is regarded by many as some of the most exciting wine in the world. 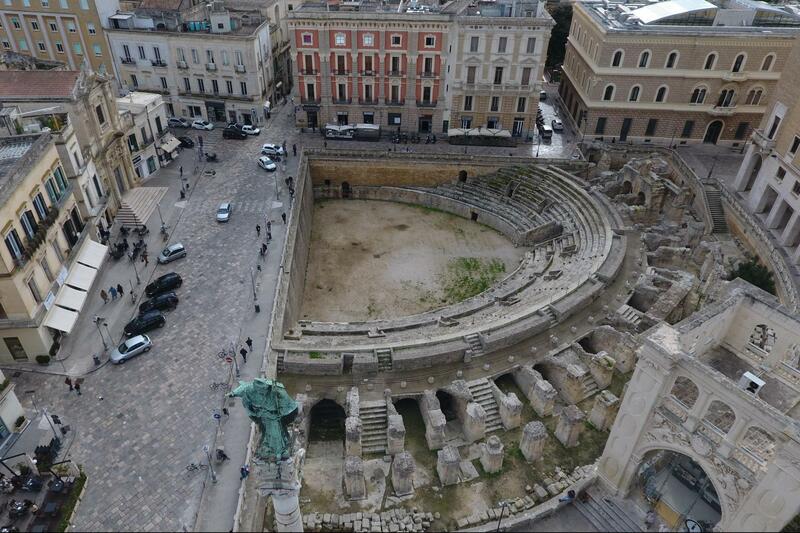 After arriving in Bari, you will be transferred to stunning Matera, a UNESCO world heritage site. Explore the ancient cave dwellings known as "sassi" with your guide. 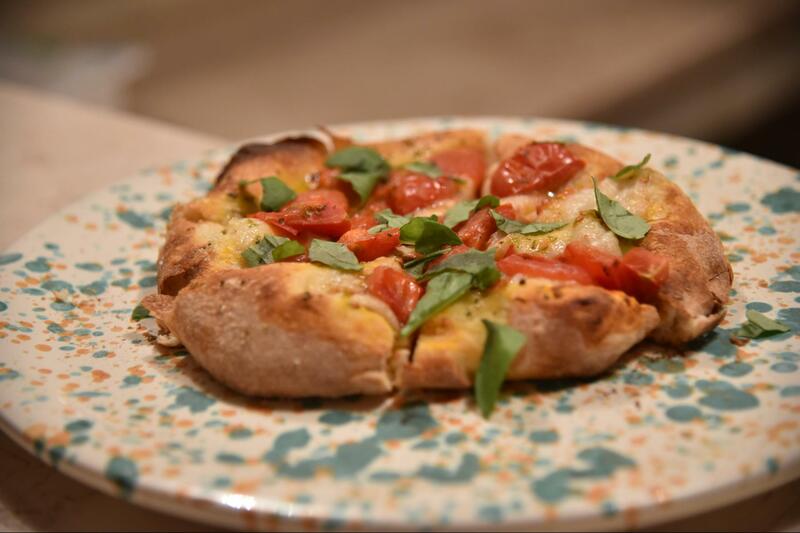 Later, you will be treated to an aperitivo and dinner at an award-winning trattoria. Welcome to Southern Italy! Welcome to Palazzo Viceconte Matera , where you can enjoy the luxury of a break in a seductive and calm atmosphere of the past. 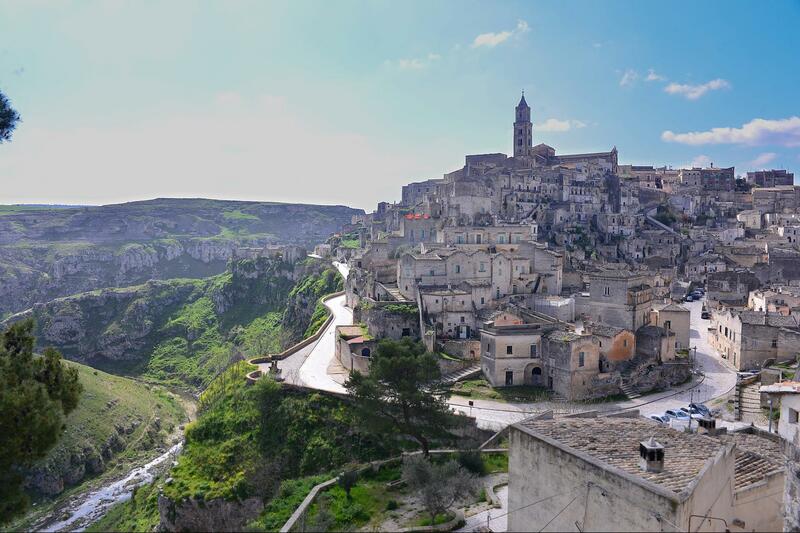 The recently restored Matera Palace is located in the oldest part of the city, from which you can see the most beautiful panorama of the Sassi and the surrounding area of Matera . Today starts with a visit to a bakery in Altamura to get an up close and personal experience on how bread is made here by the locals. After a light lunch, you'll hike through the ravines around Matera, covered with ancient caves, many of which contain breathtaking frescoes inside. Tonight you will be on your own for dinner. Of course, our local guides will give you the inside scoop on the best places to eat. Be sure to eat a good breakfast today. 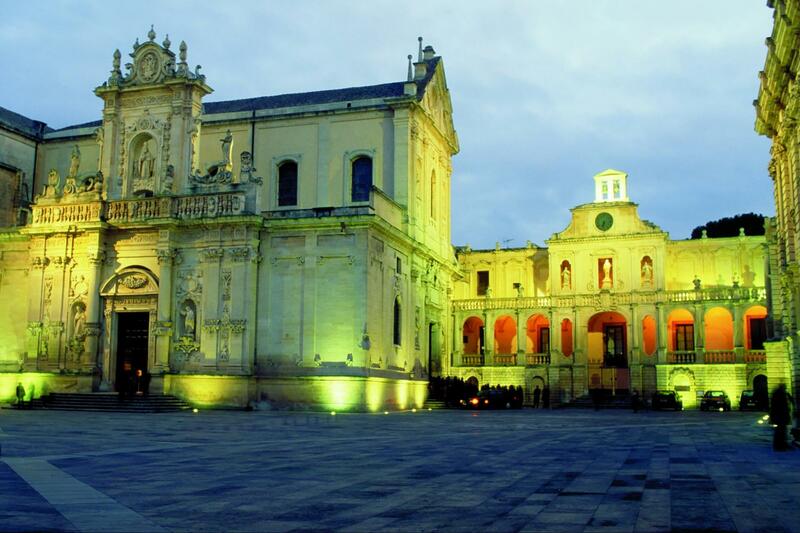 After checking out of the hotel, you'll be transferred to the hilltop town of Conversano. Here you'll be fitted to your bicycle and start a memorable bike ride down to the charming coastal town of Polignano a Mare. Here you will explore the striking coastline and and visit sea caves by boat, followed by a light lunch. Then, you will ride your bike back up to Conversano (uphill but with a gradual grade). Your hotel here has a wonderful spa. You're free to explore the town's restaurant scene on your own with recommendations from your guides. Corte Altavilla hotel with restaurant and meeting rooms is waiting for you. Share with us a wonderful experience in Southern Italy among the flavors of our typical cuisine and the smells of our popular tradition. Corte Altavilla is on of the most estimed 4-star-hotels in Apulia with its comfortable rooms and suites. In the morning you wake up wrapped by a unique quiet, served breakfast in room service or in our stone wall restaurant will welcome you. During the day a private and enchanted solarium/spa with a great view will give you unique emotions and relax. Today's ride goes into the northern stretches of the Itria Valley, filled with nut and cherry trees along with the traditional dry stone trulli houses specific to the region. If time permits, you will stop at the farmers' market to collect ingredients for tonight's cooking class. 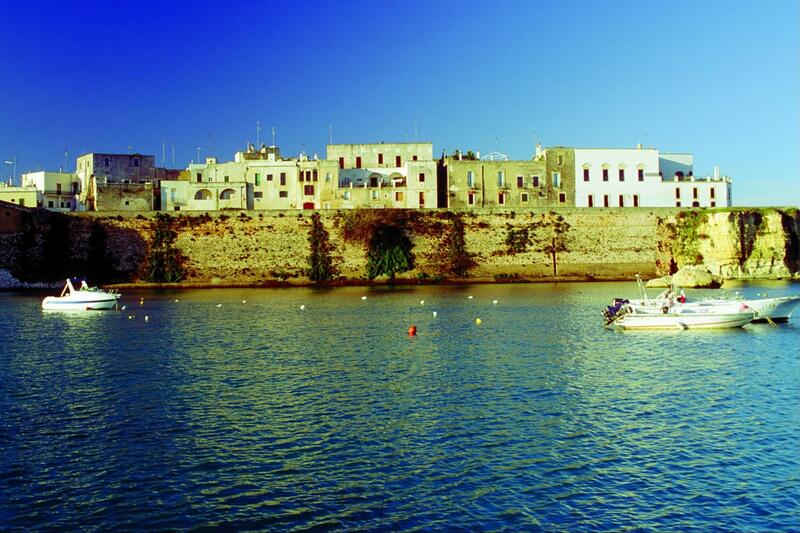 You will then descend to the coastal town of Monopoli with seawalls, a beautiful castle, and cobblestone streets. You'll have free time to explore, shop, and have lunch before the ride back to Conversano. Tonight you will be fully immersed in Pugliese cuisine and traditions at the country kitchen of our friends Mara and Marina. Marina is also a sommelier, so rest assured you will have perfectly paired wines with your authentic dinner! 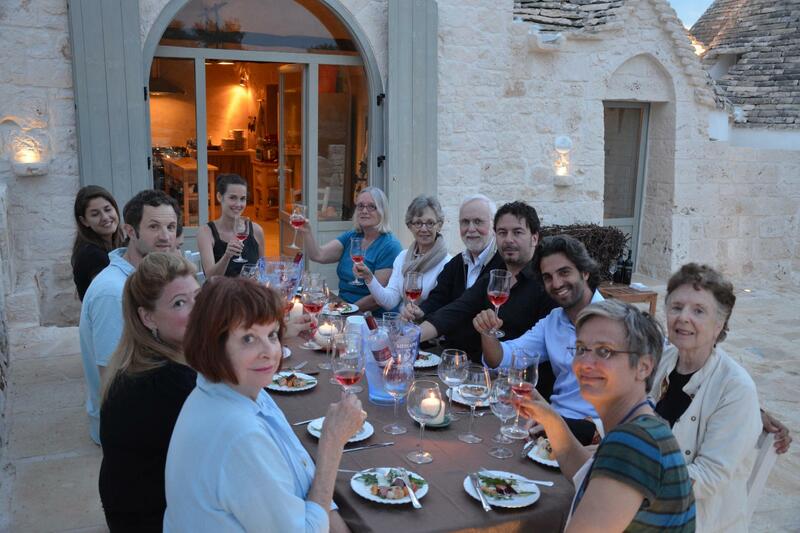 This experience involves the freshest seasonal ingredients available, traditional techniques and recipes, and fine wine, all designed to immerse you in the heart and culture of southern Italy. 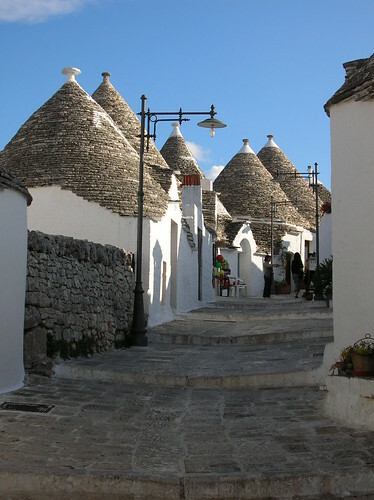 After breakfast and checking out of the hotel, you will take a short transfer to Alberobello for a short hike among its trulli houses. Then it's back on your bike for one of the most picturesque rides in all of Puglia. You will stop at a dairy farm to learn the secrets of mozzarella cheese making and enjoy tasting delicious burrata cheese. (this activity can change if a custom departure has this day fall on Sunday.) The ride will then turn back to the coast, with dramatic vistas all along the way. Your accommodation for the night is in a stunning castle and estate. Relax by the pool or go into the kitchen for another hands-on culinary experience. Either way, dinner will be delicious! Masseria Salamina is a magnificent, castle like farmhouse surrounded by ancient olive trees. The owner, an olive oil aficionado, uses the olives from the trees to produce his own organic olive oil – a product you will have the opportunity to learn about and try during your stay at the masseria. This beautiful hotel dates back to the fifteenth century and has been in the same family for 5 generations. The hotel’s pool encircled by greenery provides the perfect setting to relax or alternatively, the seaside is only 5 kilometers away. With its idyllic country setting and tranquil grounds, you cannot help but relax and settle into the rhythms of Southern Italy. 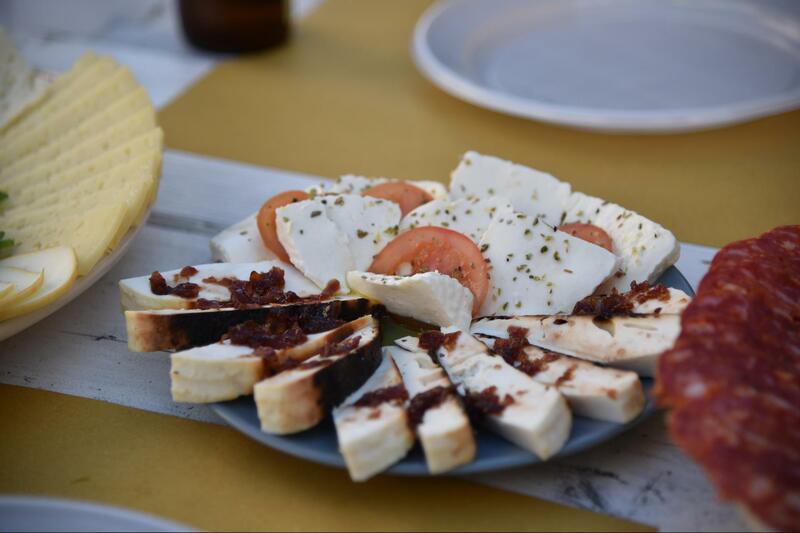 Puglia is blessed with amazing landscapes, rich history, and phenomenal local produce. On today's hike, you will experience all three first-hand. Your hike begins at the archaeological site of Santa Maria D'Agnano, known for the discovery of 'Delia,' a 20-year old pregnant woman whose ancient remains date back 25,000 years. As you hike past the site, you'll see plains full of olive trees stretching all the way to the coast. You will then hike to an olive oil mill on an estate that has been in use for thousands of years. Learn about the history and tradition of olive oil production before enjoying a tasting and private picnic on the property. Be careful not to eat to much though! Tonight's dinner is very special - a six course meal at the renowned Masseria il Frantoio. Buon appetito! 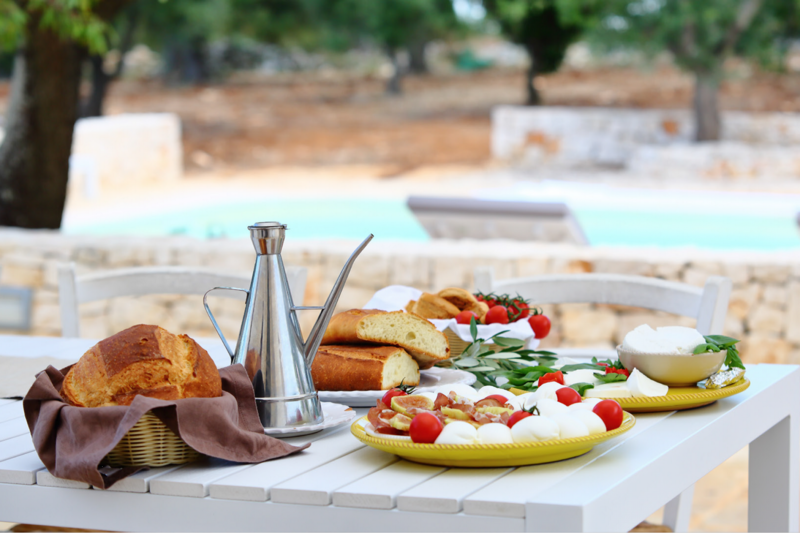 This morning we say 'arrivederci' as your Puglia adventure draws to a close. You'll be transferred to Bari for your departure or your next stop. Let us know if you would like help in planning additional travel; we are happy to help! Hybrid Bike Rentals are included in the trip price, please see the bike info below for details. Road bikes and E-bikes are also available for a supplement; please inquire. - Ostuni's architecture, also known as "the white town"
- Guided tour with fixed departure dates: Custom group requests - please inquire. - Transfers - please book all referenced transfers in advance of travel. - Airport info for Bari: a taxi from Bari airport to the train station is about 20 euros, and takes about 25-30min. Duration & Dates : 6 Nights / 7 Days. April 22, May 5, Sept 19, Oct 3, 2018. Level 3 Consistently rolling countryside with flatter inland areas; moderate terrain requires regular cycling fitness; longer routes and additional riding possible. Temps vary from 20C to 30C. Michele is the man with the eternal smile and we can safely say that there can never be an unhappy moment with him around. His curiosity and passions drive his fantastic knowledge on ancient civilizations, archaeology, history and the flora and fauna of his native Puglia. 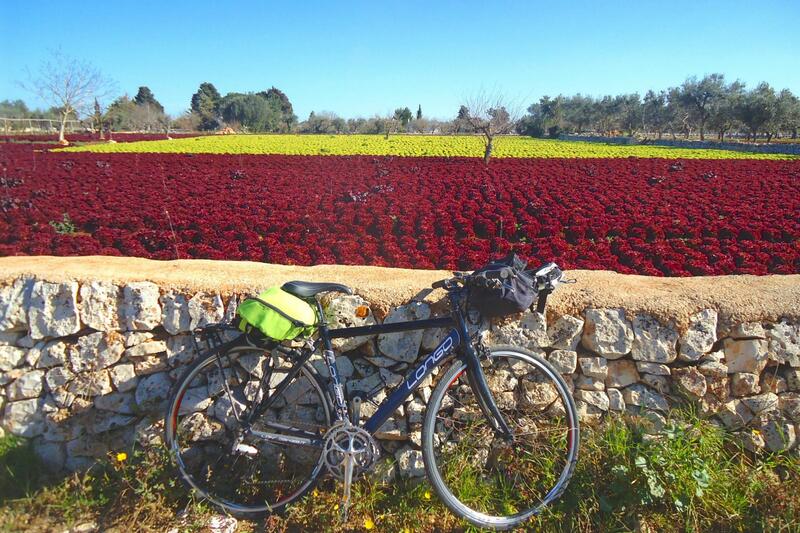 He loves the active side of Puglia and can often be spotted cycling through the olive groves of Puglia, so whether he is accompanying you on foot or on 2 wheels you will have a day full of life and laughter with Michele. "We had a wonderful time on our Puglia 7 day adventure. 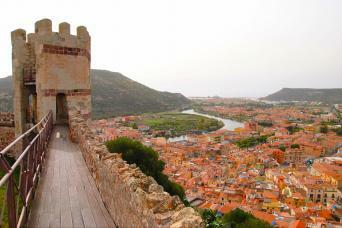 Everything was perfect - the destinations, the routes, the scenery and the food & wine. Even though the trip was self-guided it felt like there was a guide with us from the moment we booked to our trip to help with pre-planning to our departure pickup because everything went so smoothly. " Kathy L; 2017 traveler to Puglia on a self guided tour. This Trail to Table is a new tour in 2018, reviews will post here soon! 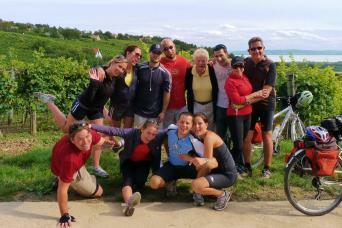 We have been offering trips in Puglia since 2008, more reviews show on that bike tour of Puglia. Bianchi bikes - hybrid and road bikes. hybrids are included in the trip price. Road bikes are available for a supplement of 15 and 30 euros/day for aluminum and carbon frame bikes respectively. Ebikes have a 30 euros/day supplement. GPS also available for rent if requested in advance. Pedals: flat. Travelers may bring their own clipless pedals to have installed. If you bring your own pedals, please bring your tool to remove them from the bikes at the end of the tour. See spec sheet for each bike for all details.